Nam began as an Associate Social Media Strategist where he worked on social media marketing plans and developed toolkits for managing and analyzing several web and social media accounts. 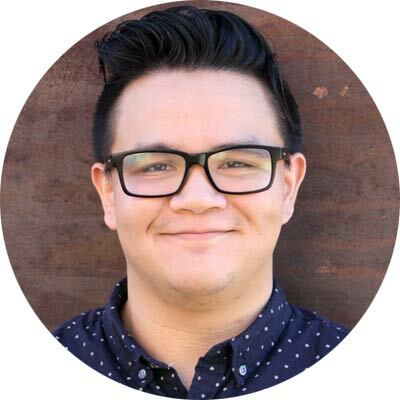 Now serving as the Community Engagement Strategist, he expands on that role with community outreach, day-to-day communications, and content creation. Graduating from the University of Nebraska-Lincoln’s College of Journalism and Mass Communications, Nam has a double major in Journalism and Advertising and Public Relations. Near the end of his time in school, he developed an interest in sustainability. He worked on several projects covering the university’s efforts in sustainability and recycling and how climate change will affect local farmers. At the university, Nam spent over a year working at the school newspaper, The Daily Nebraskan. After graduation and before Carson+Co Global he was an intern at the Daugherty Water for Food Institute where he assisted in content creation and outreach. Nam has lived in Lincoln all his life. As a new runner, he is still exploring all the trails the city offers. You can usually find him engrossed in a comic book, jamming out to Carly Rae Jepsen or forcing his co-workers to play board games with him. Subscribe for announcements and insights from Carson+Co Global. © 2018 C.C. Global Inc. All Rights Reserved. C.C. Global Inc. (d.b.a. Carson+Co Global) is a U.S. government certified Woman Owned Small Business (WOSB).